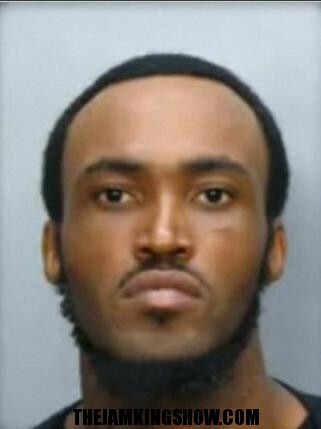 Rudy Eugene was the naked man who was fatally shot by Miami Police Saturday as he chewed another man’s face has been identified, according to Local 10. Rudy Eugene, 31, of North Miami Beach was shot multiple times during the grisly assault on the Downtown exit ramp of the busy MacArthur Causeway. The Miami Herald reports he had been arrested 8 times since the age of 16, including a battery charge which was later dropped and 4 instances involving marijuana. A neighbor said Eugene’s former home had been foreclosed on in 2011, and homeless people living in the area of the attack said he was frequently spotted wandering the area, looking confused. An eyewitness who was riding his bike on the causeway Saturday afternoon said he flagged down a police officer after coming across Eugene, stark naked, chewing another man’s face. But Vega said when the police officer yelled at Eugene to back away, the naked man merely raised his head “with pieces of flesh in his mouth,” growled, and began chewing again. The officer reportedly then shot Eugene once, but Eugene still continued to attack the man’s face, prompting the officer to shoot multiple times until he was dead. The shooting and its aftermath were captured on surveillance video from the Miami Herald’s parking garage, but police are still trying to piece together details and are asking witnesses to come forward. The identity of Eugene’s victim, believed to be a homeless man, has not been released. He is reportedly in serious condition at Jackson Memorial Hospital. Police say Eugene may have been suffering from a drug-induced psychosis which causes the body to heat up, prompting some users to remove their clothes in an effort to cool down, the Herald reported. Aguilar says authorities have seen several such cases of delirium in which people have taken off their clothes, seemingly displayed superhuman strength, and have used their jaws as weapons. One such assault allegedly occurred after the Ultra Music Festival in March when a naked reveler Evan Oberfelder attacked a good samaritan and first responders after being hit by a taxi. 14 police officers were treated for blood exposure or injuries after managing to subdue Oberfelder. “We have seen, already, three or four cases that are exactly like this where some people have admitted taking LSD and it’s no different than cocaine psychosis,” Aguilar told CBS. One emergency room doctor suspects an LSD-like substance called bath salts is behind Eugene’s attack, citing several cases of drug-induced mania in Miami in recent months.